to complement the eye protection provided by a large face shield. 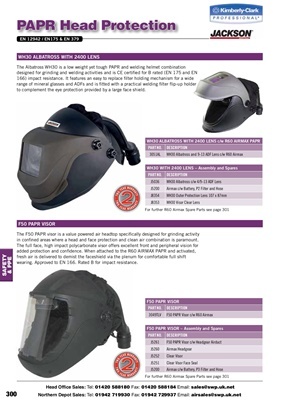 in	confined	areas	where	a	head	and	face	protection	and	clean	air	combination	is	paramount. wearing. Approved	to	EN	166. Rated	B	for	impact	resistance.